The International Workshop on Industrial Statistics in the Central American and the Caribbean Region (9-11 May, Panama City, Panama), organized by STAT/DESA in collaboration with ECLAC, will focus on enhancing the capacity of national statistical systems of the Central American and the Caribbean Region countries in the area of industrial statistics. Staff of the national statistical offices and central banks will gain practical and methodological knowledge of issues related to the implementation of the United Nations International Recommendations for Industrial Statistics (IRIS) 2008 and the International Recommendations for the Index of Industrial Production (IRIIP) 2010. They will also gain practical and methodological knowledge of issues relating to SDG indicators and other indicator frameworks linked to industrial statistics. UN DESA’s Statistics Division is organizing the final regional workshop within the UN Development Account project “Supporting Developing Countries Measure Progress Towards Achieving a Green Economy” in cooperation with the Economic and Social Commission for Asia and the Pacific (ESCAP) on 29 March – 1April. The workshop, entitled “Strengthening basic statistics to support the Sustainable Development Goals” will take place on 29 March-1 April 2016 in Ulaanbaatar, Mongolia, and is co-organized by the national statistical office of Mongolia. The workshop will summarize and evaluate the activities of the project, provide a forum for the sharing of experiences among the pilot and non-pilot countries of the project, as well as discuss ways to apply the knowledge gained in producing statistics and indicators in the domains of environment, energy, agriculture and industry to the proposed indicators for measuring the targets for key Sustainable Development Goals (SDGs). The workshop will also discuss how the work carried out in this project will be linked to future activities by UNSD and partnering agencies, including, but not limited to, the measurement of the SDGs. A similar workshop took place in February 2016, for the countries in Latin America and the Caribbean in Quito, Ecuador. UN DESA’s Statistics Division is organizing the final regional workshop within the UN Development Account project “Supporting Developing Countries Measure Progress Towards Achieving a Green Economy” in cooperation with the Economic Commission for Latin America and the Caribbean (ECLAC) on 23-26 February. 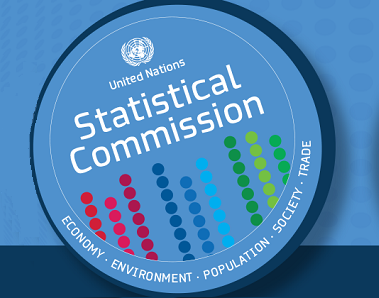 The workshop, entitled “Strengthening basic statistics to support the Sustainable Development Goals” will take place on 23-26 February 2016 in Quito, Ecuador, and is co-organized by the statistical office of Ecuador – INEC. A similar workshop will take place in March/April 2016, for the Asia Pacific region in Ulaanbaatar, Mongolia. UNSD will host a meeting of the Technical Subgroup for the International Standard Industrial Classification of All Economic Activities (TSG-ISIC) on 14-16 October 2014 in New York. The meeting will discuss necessary clarifications for ISIC Rev.4, such as the treatment of Factoryless Goods Producers (FGPs) in the classification, to ensure a consistent application of ISIC interpretation and application rules. UNSD in cooperation with the Economic and Social Commission of Western Asia (ESCWA) and the Arab Institute for Training and Research in Statistics (AITRS) is organizing a workshop o the implementation of the International Standard Classification of All Economic Activities (ISIC) Rev.4 to assist countries in the region on 28 Sep-01 Oct 2014 in Amman, Jordan. The workshop will cover the overall organization of an update process, development of national classifications, the recoding of the business register and issues of backcasting of statistical series. UNSD will also provide direct assistance to the Companies Control Department of Jordan in the update of the business registration process, implementing ISIC Rev.4. DESA’s Statistics Division is organizing an International Workshop on Industrial Statistics in collaboration with the United Nations Industrial Development Organization (UNIDO) and with the National Bureau of Statistics of China. This workshop is part of a series of events organized under the project on strengthening statistical capacity development in China and other developing countries in Asia funded by the Chinese Government. The workshop aims to enhance the capacity of National Statistical Offices of Asian countries in the area of industrial statistics. In particular, it will address specific issues in industrial statistics, focusing on the preparation and conduct of industrial surveys, sampling techniques, the list of data items and other guidelines identified in the International Recommendations for Industrial Statistics (IRIS) 2008. The United Nations Statistics Division (UNSD), in collaboration with Economic Commission for Latin America and the Caribbean (ECLAC) and the Instituto Brasileiro de Geografia e Estatística (IBGE), is organizing a Workshop on Manufacturing Statistics, scheduled for 15-17 March 2011 in Santiago, Chile. This workshop continues the programme for the development of comprehensive and comparable manufacturing statistics in the Latin American region, initiated 2007. The main purpose of this workshop is to discuss issues of data processing, including validation and imputation, as well as the compilation of production indices and related topics. The United Nations Statistics Division, in collaboration with the National Bureau of Statistics of China, will organize an International workshop on Industrial Statistics from 21 to 23 June 2010 in Dalian, China. The workshop aims to enhance the capacity of National Statistical Offices of Asian countries in the area of industrial statistics. This workshop is part of a series of events organized under the project on strengthening statistical capacity development in China and other developing countries in Asia funded by the Chinese Government. It will address specific issues in industrial statistics, namely: (1) the compilation of the index of industrial production, following the revision of the International Recommendations for the Index of Industrial Production; (2) the production of statistics on capacity utilization for manufacturing units and (3) the conduct of business condition surveys for manufacturing units. The United Nations Statistics Division (UNSD), in collaboration with Economic Commission for Latin America and the Caribbean (ECLAC) and the Instituto Brasileiro de Geografia e Estatística (IBGE), is organizing a Workshop on Manufacturing Statistics, scheduled for 1-4 June 2009 in Santiago, Chile. This workshop continues the programme for the development of comprehensive and comparable manufacturing statistics in the Latin American region. Building on topics discussed at previously held workshops, this proposed workshop will in particular focus on the conduct of manufacturing surveys, including the planning and management of surveys, sampling issues, questionnaire design and data collection issues, as well as specific methods and techniques used for capturing small and household units. The United Nations Statistics Division (UNSD) is organizing a Workshop on Manufacturing Statistics, in collaboration with the Central Statistical Office (CSO) of Zambia, the United Nations Economic Commission for Africa (UNECA) and the Southern African Development Community (SADC). The workshop will take place from 4 to 7 May 2009 in Lusaka, Zambia. The workshop is part of UNSD's efforts to increase statistical capacity building in the region and as such relates to the framework of the project “Strengthening statistical capacity building in support of progress towards the Internationally Agreed Development Goals in the Southern African Development Community region”, while reaching out to other countries in the region as well. The main purpose of this workshop is to initiate a programme for the development of comprehensive and comparable manufacturing statistics for African countries. As a first step in this programme, the workshop will review the state of manufacturing statistics in participating African countries including scope, definitions, measurement and methodology used in the compilation of manufacturing statistics. The United Nations Statistics Division (UNSD), in collaboration with Economic Commission for Latin America and the Caribbean (ECLAC) and the Instituto Brasileiro de Geografia e Estatística (IBGE), is organizing a Workshop on Manufacturing Statistics, scheduled for 19-22 August 2008 in Santiago, Chile. This workshop continues the programme for the development of comprehensive and comparable manufacturing statistics in the Latin American region, initiated by an exploratory workshop in September 2007. The main purpose of this workshop is to discuss issues of classification and classifications revision in the manufacturing sector, as well as the set up and maintenance of business registers related to manufacturing statistics. The workshop will also focus on data sources for data items listed in the International Recommendations for Industrial Statistics (IRIS) 2008. The Statistics Division (UNSD) is hosting a meeting of the United Nations Expert Group on Industrial Statistics from 15 to 17 July 2008. The meeting will (i) focus on the review of draft text for the Index Numbers of Industrial Production (IIP) publication which is scheduled to be presented to the Statistical Commission in 2009; (ii) discuss technical cooperation on industrial statistics, i.e. coordination, regional approach, volunteers for specific areas; and (iii) review a prototype of the UNSD knowledge platform on economic statistics.